November 28th .Grand opening of the seventeenth people’s Congress of Xiangyin County, Yueyang City.Shinestar chairman Guoyu YI was elected to the Yueyang Municipal People’s Congress, this is Mr. Guoyu YI second award. Yi Guoyu incumbent Shinestar Group Co., Ltd.Shinestar has been established since 1993.Yi Guoyu has always been a pragmatic entrepreneurial spirit of innovation and the trend of the times ahead of strategic decision pilot Shinestar .Shinestar has come out a way of development.Now the shinestar accumulate steadily.Owns 23 subsidiaries.China won the top 500 private enterprises.100 strong enterprises in Hunan Province.Created the Chinese steel pipe exports third.Hunan steel pipe sales of first outstanding achievements.At present, shinestar has set up in quality based production.To serve as a whole.Global trade as an engine for the improvement of the group platform.Has established the domestic “aircraft carrier grade” the status of the overall service provider of steel procurement. As the entrepreneur, Guoyu Yi always think good thoughts , more actively involved in the construction of the city Xiangyin in Yueyang and thanksgiving return society. Both support the hometown construction, and to help nursing homes, laid-off workers, Guoyu Yi have special pure heart, holding the glorious cause tradition. Since 2012, he devoted to respect business, sponsored yueyang xiangyin many nursing homes; Support hometown construction, yueyang xiangyin tiejiaozui town highway construction project; Successively aid more than hunan steel market dealers, help them through struggling; More help more than 100 laid-off workers re-employment. This term is the glory of Guoyu Yi and Shinestar of glory. Guoyu Yi said that he would collect public opinion, exert good NPC delegates responsibilities and advice for the development of yueyang city and xiangyin, render contribute their own. National People’s Congress representative shall, on behalf of the interests of the people and will, in accordance with the law, exercise their functions and powers on behalf of the representative duty actively, give full play to their role as the representative. NPC delegates should close contact with the masses of the people, more frequent visit contact with voters, listen to and reflect their views and requirements, to serve the people. 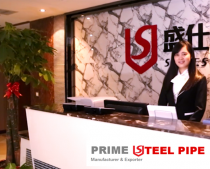 And all this is closely related to Shinestar business philosophy and mission, “internal achievements of employees, client, foreign achievement”, its essence is to stand in the perspective of “people”, thinking the management and development of the enterprise.